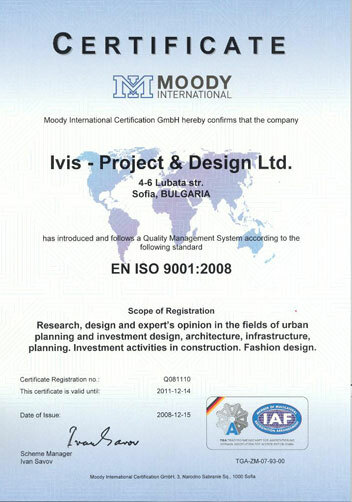 Ivis - Project and Design is a special representative of the company Couture and Design -specializes in importing very high quality in interior decorations materials such as wallcoverings, curtains, upholsteries as well as designer furniture and accessories, both for residential and commercial purposes. Тhe company is represent some of the most prestigious brand names from the U.S, Italy, Germany, and Holland, among many other countries. Еxtensive wallpaper collection ranges from murals, to textured and bamboo surfaces and other natural materials, as well as more conventional, avangard and classical paper designs. Couture and Designe present some of the leading brands for wallpapers in Europe and America and the huge variety of designs can satisfy any tastes, from classical to post modern. The quality range also extends from first class residential products to heavy duty contract wall coverings for hotels, hospitals, and other areas with heavy traffic.